SPRINGVILLE, Utah. 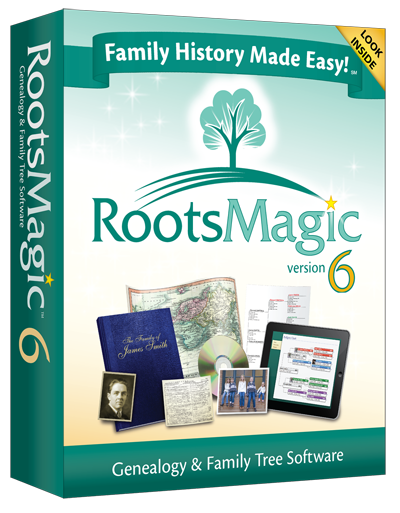 — November 19, 2012 — RootsMagic, Inc. today announced the official release of RootsMagic 6, the latest version of the award-winning genealogy software which makes researching, organizing, and sharing your family history easy and enjoyable. 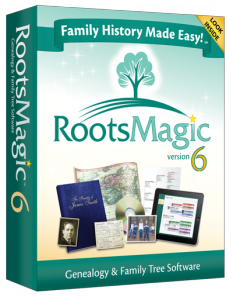 With this release comes an update to the popular “RootsMagic Essentials” free genealogy software. 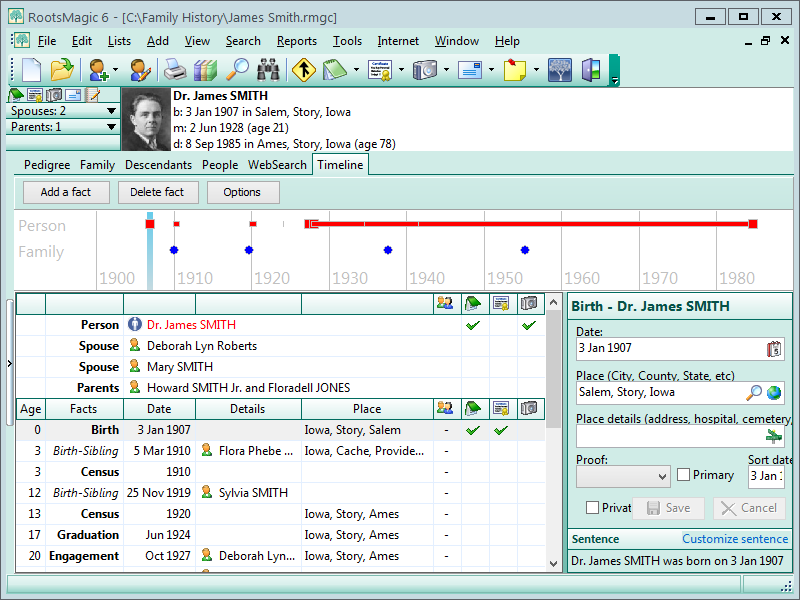 Throughout its 11-year history, RootsMagic has helped people research and share their family trees with innovative features such as moving people from one file to another with your mouse, a SourceWizard to help you document your work, creating a Shareable CD to give to family and friends, and running RootsMagic off of a USB flash drive when you are away from home. RootsMagic has also received numerous awards, including the award for “Easiest to Sync” from FamilySearch for their work in interfacing with that system. Online Publishing – Create beautiful, dynamic websites with pedigree, family and individual views as well as supporting notes, sources, and media. 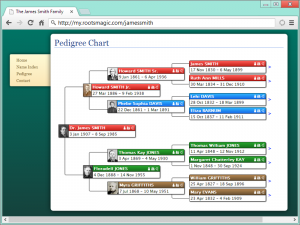 And with our free My.RootsMagic.com hosting service, your genealogy has an online home with the click of a mouse. 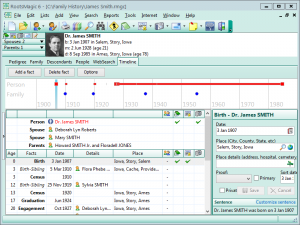 Live Timeline View – A live-edit panel on RootsMagic’s timeline view makes this one of the most powerful editing features ever! Make corrections to your data while viewing it in context with other family members life events. 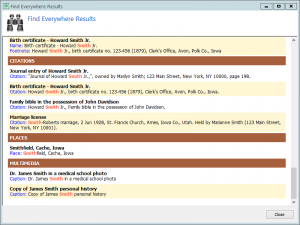 Find Everywhere – With a single search you can now find every record in your file containing the text you want. Quickly find people, families, notes, sources, places, to-do items, research logs, and more. 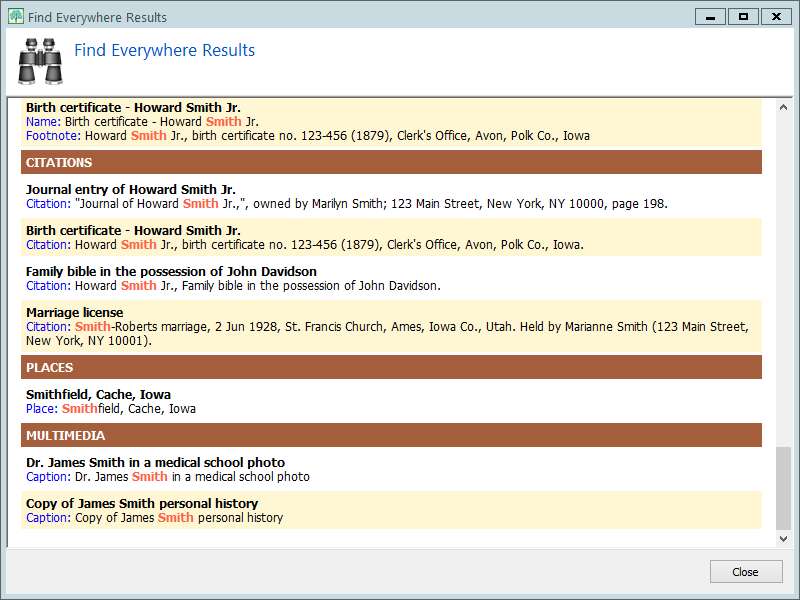 Then edit those found records directly from the search results. 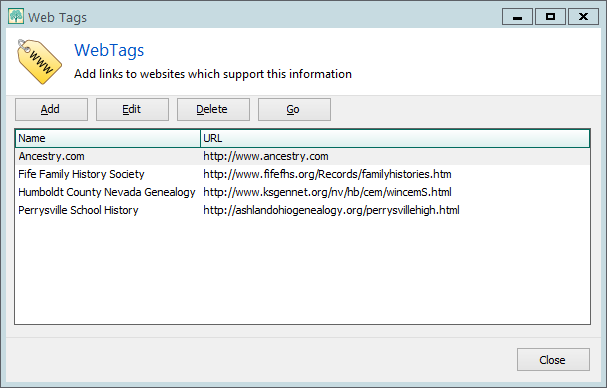 WebTags – Link people, sources, places, and more to websites using RootsMagic 6’s new WebTags. 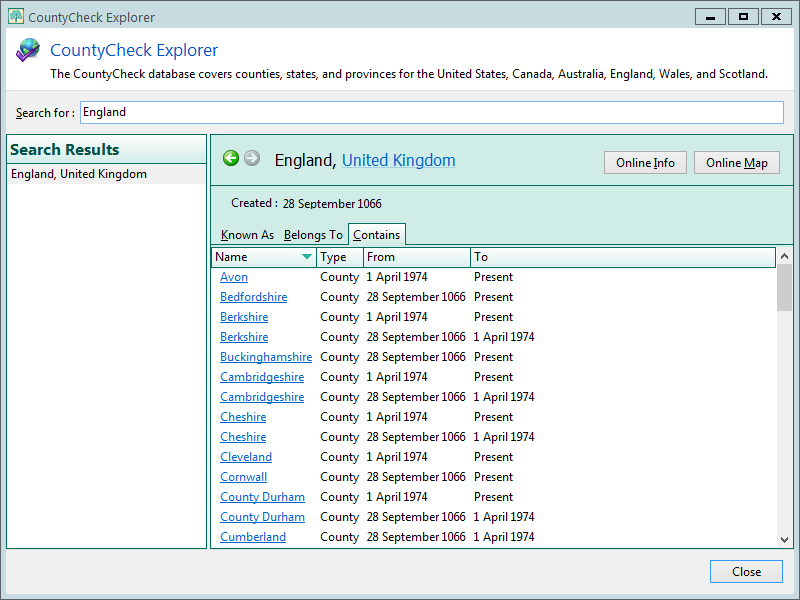 CountyCheck Explorer – Look up a county, state, or country from a multi-national database. 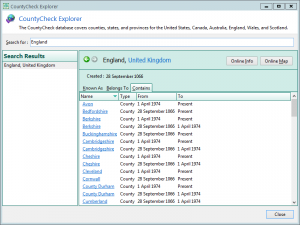 It can even show you online maps of county boundaries for that date. RootsMagic 6 is also available in an updated, free edition named, “RootsMagic 6 Essentials”. RootsMagic Essentials contains many core features from the RootsMagic software and the two products are fully-compatible with one another. “Many people are curious about their family history and don’t know where to begin,” said Michael Booth, vice president. “RootsMagic Essentials is the perfect way for someone to get started, risk-free.” RootsMagic Essentials is available for download at http://www.rootsmagic.com. RootsMagic 6 is now available online at http://www.rootsmagic.com or by calling 1-800-766-8762. New users may purchase RootsMagic 6 for only $29.95. Users of previous versions of RootsMagic and it’s predecessor, Family Origins may purchase RootsMagic 6 for the upgrade price of only $19.95. Any changes in RM6 with FamilySearch Family Tree? Will it look different? Does the merge function work as with Family Tree? 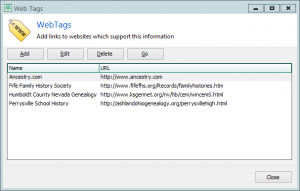 Is RootsMagic 6 able to access FamilySearch’s new Family Tree? Does this version sync with Family Tree yet? We have been working with FamilySearch for some time now preparing RootsMagic to work with the Family Tree system, the replacement for new FamilySearch. When FamilySearch finalizes the system and allows us to release our support for Family Tree, it will be made available in a free update to RootsMagic 6. 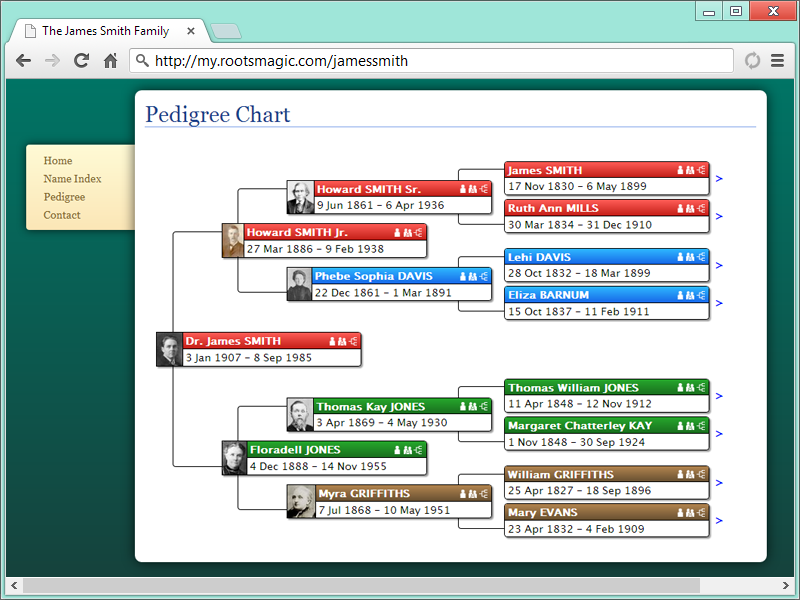 We are very excited for the new features and abilities that Family Tree will give RootsMagic and its users. Please watch our e-mail newsletter and blog for an announcement in the near future. I’ll upgrade anyway but I, like the others, am waiting for the sync to Family Tree. If I did not install RM 5, can I still update directly to RM6? R Thrugstad… yes, you can upgrade directly to RM6.